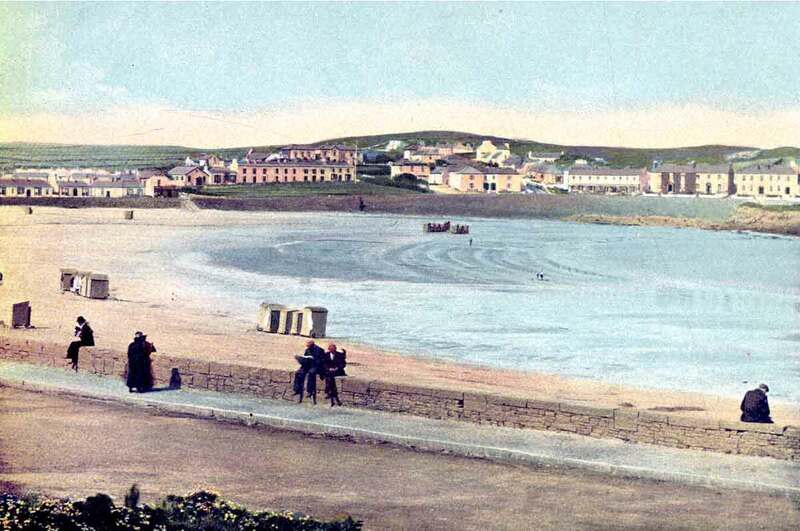 Kilkee Civic Trust's much loved summer "Talks" take place every Wednesday at 8pm from the 22nd June to August 31st in the Kilkee Bay Hotel. Arts in Focus, our special programme of visual arts, music, song, poetry and film is on Wednesday 6th July in Cultúrlann Sweeney. As always, admission to the "Talks" and "Arts in Focus" is free of charge, but any donations would be welcome. Please note: The Talks & Music dates are subject to change. Drivers for marine research and technology, emerging marine industries, ongoing and developing activities in Ireland and scenarios for the future. Back to the Sea - Has fishing a future? Exploring the future, or otherwise, of a much changed Irish Fishing Industry. Honouring local talent, social history through music, drama, song and dance; in conjunction with our photographic exhibition. A memoir of life, social history and folklore on the Loop Head Peninsule from the late 1950s to mid-1970s. Kilkee native and well known West Clare solicitor provides an invaluable insight into this notable era of recent Irish history. Director of the San Marcos Project; the search for the lost Portuguese galleon San Marcos of the 1588 Armada; with the goal of establishing the identity of the ship wrecked at Mutton Island in 1588 and locating the final resting place of her crew. John will also discuss the wrecks of San Esteban at Doonbeg and the Annunciada at Scattery Roads. Accompanied by superb local guest performers. Entrepeneur, Businessman and sometimes Dragon; curcially a man with longtime Kilkee roots; reflecting on his life and times. Finbar Furey tours extensively, bringing his rare talents to a world-wide stage and treats audiences to evenings of pure Irish magic, great music, good humour, and the charm and sparkling wit associated with one of Ireland's great raconteurs. Nolan's Deli Kilkee, Kilkee Library and at the door on the night. Bottanist with Burren Beo Trust. Burren resident, natural historian, author & wildlife artist. Two well known local historians who have an encyclopedic knowledge of ancient forests and the more recently lapsed bathing practises of bathing boxes in Kilkee. Limerick woman, novelist, poet and short story writer. Charlotte Brontë was born 200 years ago of Anglo-Irish decent. Her novels made a powerful case for Women's Lib and other political causes. They give a fascinating insight into her life and times.